After going Open Source, the React Native Playground keeps getting better. 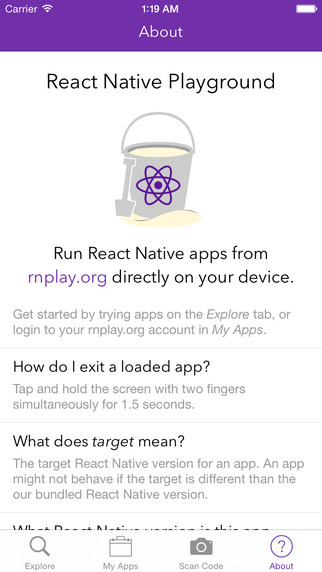 Run, test and share React Native applications directly on an iOS device Build an app in the browser on http://rnplay.org and share it with anyone! Explore the site via popular apps, staff packs or search. 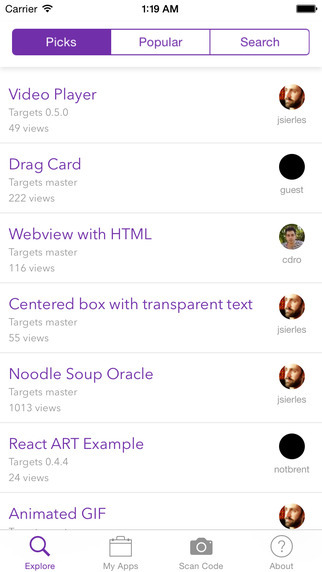 generate the QR Code and then run, test and share them on real iOS devices.